We are located next to Dubs. 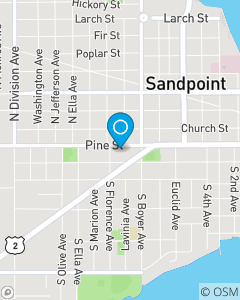 Serving the auto and homeowners insurance needs of the Sandpoint, ID area. Providing quality insurance services while recognizing customer needs for auto, home, life, health and small business products. Our team strives to provide quality and friendly customer service. Stop in and see us for a FREE insurance quote! Michaella is proficient in Auto, Home, Renters, Motorcycle, Life, and Health Insurance! Stop by for a free auto or home quote!